For owners of small businesses, traditional 401(k) plans are a mixed blessing. They let you offer workers tax-deferred retirement saving, an attractive employee benefit. But administering such a plan can be costly, and anti-discrimination rules could prevent you and other highly compensated executives from fully participating. A variation on the 401(k) theme, the safe harbor 401(k), has simpler rules, lower administrative costs, and is not off-limits to even the highest-paid worker. 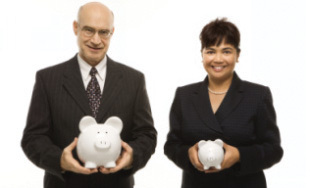 Safe harbor 401(k)s are designed for smaller businesses that want to offer a flexible retirement savings vehicle while avoiding the administrative hassle of standard 401(k)s. They work especially well for a small business where owners, along with a few key employees, earn considerably more than most other employees. Like traditional plans, safe harbor 401(k)s allow employees to make tax-deductible contributions to a retirement account; plan participants are taxed only when they withdraw money from their account during retirement. Participants also benefit from employer contributions—optional for companies offering traditional plans but required for safe harbor 401(k)s.
With a standard 401(k), annual non-discrimination testing is used to ensure that the plan isn’t skewed in favor of high-paid workers. If too few employees at the low end of the salary scale participate, the plan may be forced to limit contributions by owners and managers. That testing is an administrative burden and potential roadblock for tax-deferred saving. A chief virtue of safe harbor plans is that they don’t require yearly tests. The government lets safe harbor plans off the hook because they require employers to contribute to workers’ accounts. This can happen in one of two ways. The first is to match, dollar for dollar, the first 3% of salary any employee directs to the plan. Under this scenario, you may also provide a partial match, at 50 cents on the dollar, of contributions up to 5% of salary. So if a worker makes $50,000 and contributes $2,500 (5% of salary) to your safe harbor plan, you’d be obligated to kick in $1,500 (3% of salary) and could contribute an additional $500 (a 50% match of the next 2% of salary), perhaps as part of another defined contribution plan. The second option for a safe harbor plan is to provide an across-the-board 3% contribution on behalf of all eligible employees, even those who don’t put any of their own money into the plan. You would contribute $1,500 for a worker who makes $50,000, $600 for someone earning $20,000, and $3,000 for someone grossing $100,000. Employer contributions vest immediately, meaning the money you provide belongs to the workers even if they leave the company immediately. If business conditions leave you short of cash, you can suspend contributions for a year, but only if you provide written notice to your employees 30 to 90 days before the end of the plan's year. To participate in the program, employees must be at least 21-years-old and have performed 1,000 hours of service for the company during the previous year. Pre-tax contribution limits for safe harbor plans are the same as for traditional 401(k)s—$18,000 in 2016, plus an extra $6,000 for workers 50 and older. This allows a highly-paid owner or employee to put away up significant sums toward retirement annually.